Car number plates can be pretty fascinating. 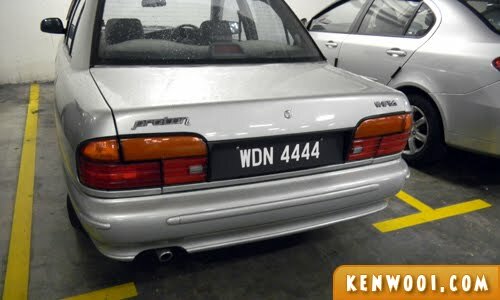 A few months back, I saw an interesting car number plate – which was “4444”. Thinking of how rare such an occurrence to happen, I decided to set myself on a personal mission. The mission – to take photos of number plates with 4 repetitive numbers from one (1), all the way to nine (9). So for the past few months, I’ve been constantly observing the number plates of cars while driving. Sometimes, I even casually looked around whenever I’m at parking lots. And finally, after months of scouting high low left right up down, I’ve finally done it. Mission accomplished! 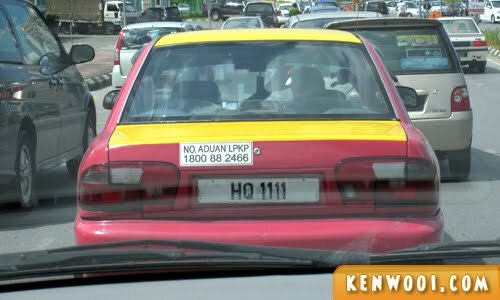 1111 – This photo of the taxi was taken in Kuching, while I was there on a business trip. 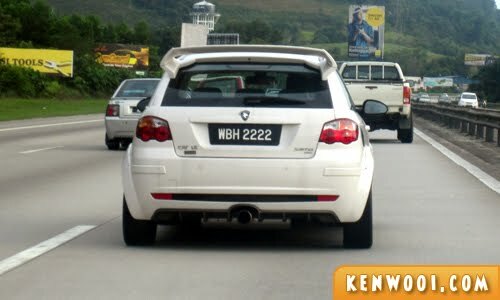 2222 – I was on the highway, on the way back to PJ. 3333 – Photo taken while waiting for the traffic light. Was on the way back home from work. 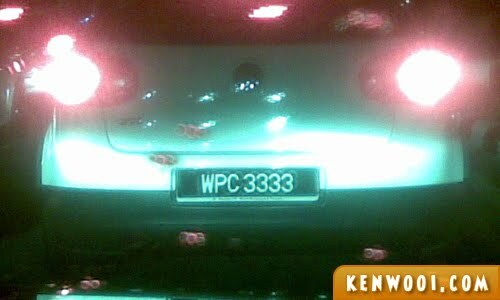 Number 3333 was the final photo obtained – felt so lucky to have stopped right behind this car! 4444 – This photo triggered the whole mission. Photo taken at Tesco Mutiara Damansara back in July 2011. 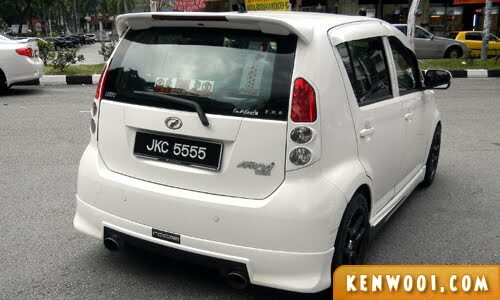 5555 – The Myvi was unexpectedly spotted nearby my place. 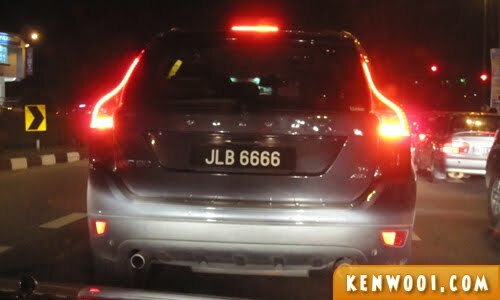 6666 – Bumped into it after exiting the toll in Ipoh. 7777 – Another photo taken while driving on the highway. 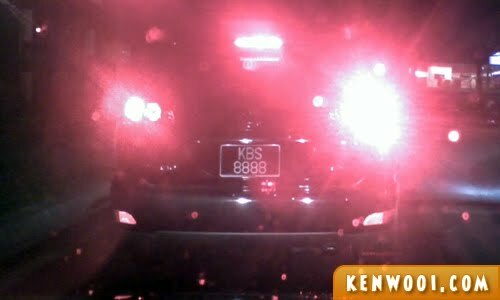 8888 – This shot was captured at LDP? Can’t remember. 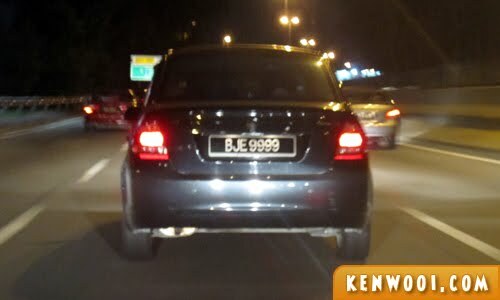 9999 – This one confirm was at LDP. I was actually trying my best to stay close, so that I could get a good photo. Blur though. 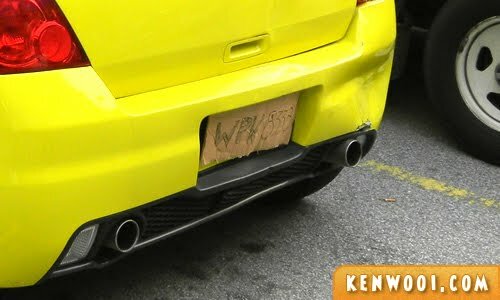 P/S: Number plates aren’t censored for an obvious reason. Duh! P/S: It took me 6 months to get the complete collection. Atleast the alphabet u can censored it! omg bro. u dam awesome weh to really pull this off! how long it took you to find all the numbers??? LOL!!! Yay! U’ve done it! Mission accomplished! OMG! You actually did this and manage to do it within 6 months some more? It makes you look like you don’t have a life. LOL. wow! great job!!! and u r lucky to see all!!! wahh nice job on completing this mission! definitely not easy to do!! maybe next time u can try 3 digits instead! gl! The Chinese wouldn’t want a 4444 number, I’m sure. Wow! Your car’s so yellow kah? It’s dangerous to take photo when driving my friend! nevertheless, great effort and great job!! *salute* can snap and drive! You sure have a lot of patience. this message will not self destruct unless you delete it. The tough mission made possible!! So geng la you, Ken! rajin betul! so you basically pre snapped the pictures to plan for this post? hv a great Dragon Year! wow. u can be a PI now! hi!happy Chinese new year! i love number too. i have seen MAF14 which mean mafia at ukm when i was a ukm student. i really wish to see n know person who drive CCC666(read it as triple c triple six not enam) the C shape n number almost alike, right? even the number AAA444 almost the same but the way we pronounce it, not as wonderful as CCC666. lot of people choose their plates resemble themselves. 4212-azizi. me?really wish too to get plates Z but i’m not an army.